Oil/ Gas/ Petroleum/ Energy are fields that need qualified professionals with zeal to bring forth innovative solutions to increase fuel efficiency. We have severed various organizations that deal in these natural resources by rendering effective manpower recruitment solutions. 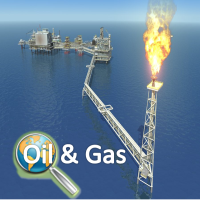 We have a large databank of profiles of candidates who are well-qualified for different Jobs in Oil/ Gas/ Petroleum/ Energy Sector. To meet the clientâ��s specific requirements, we pre-screen the candidates and ensure that they are the most suitable for the given job role.